Soter Vineyards is a beautiful winery located in Carlton, Oregon. We visited for their annual Memorial Day Weekend Open House. 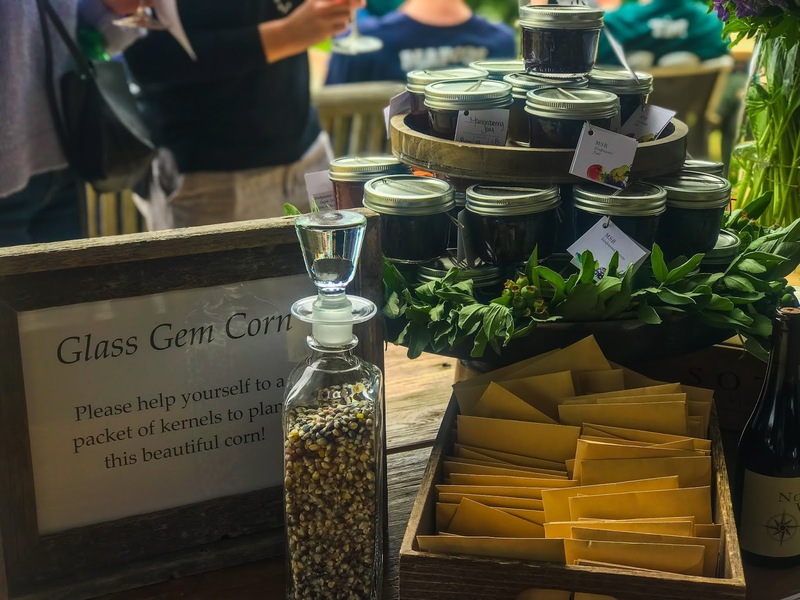 The party took place on the Mineral Springs Winery grounds surrounded by breathtaking views. 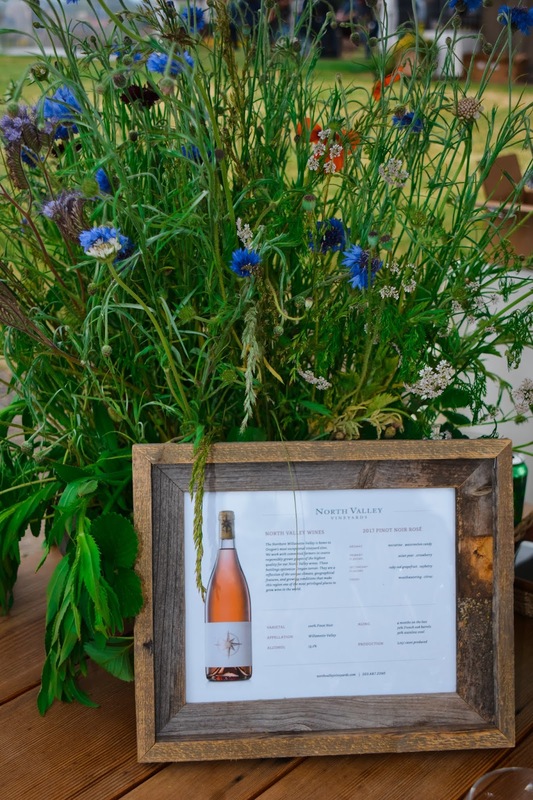 We were greeted with a glass of the North Valley Sparkling Brut Rose’ upon entering the grounds. (Definitely a great welcome). The grounds boasted an absolutely beautiful herb and flower garden that welcomed you with meandering paths and benches nestled throughout. 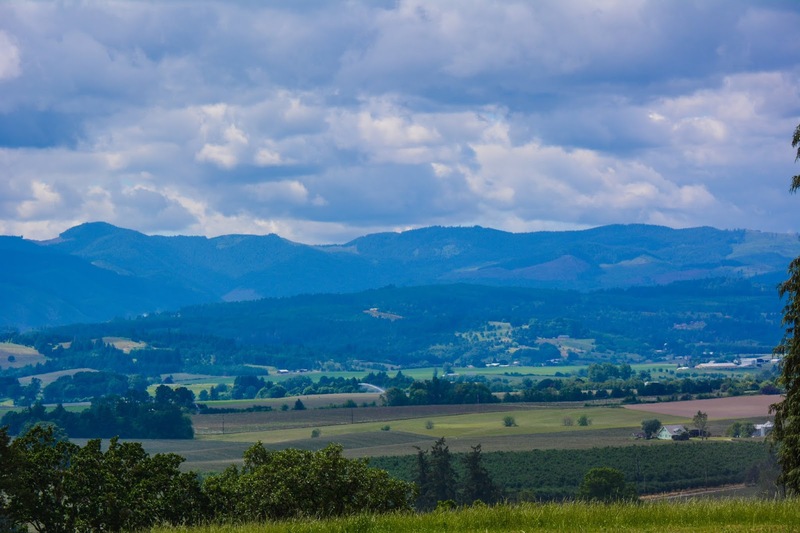 Soter Vineyards is located on the eastern edge of the Yamhill-Carlton AVA. They actually have two vineyards, Mineral Springs and North Valley. The vineyards are composed of primarily Pinot Noir vines and Chardonnay vines. 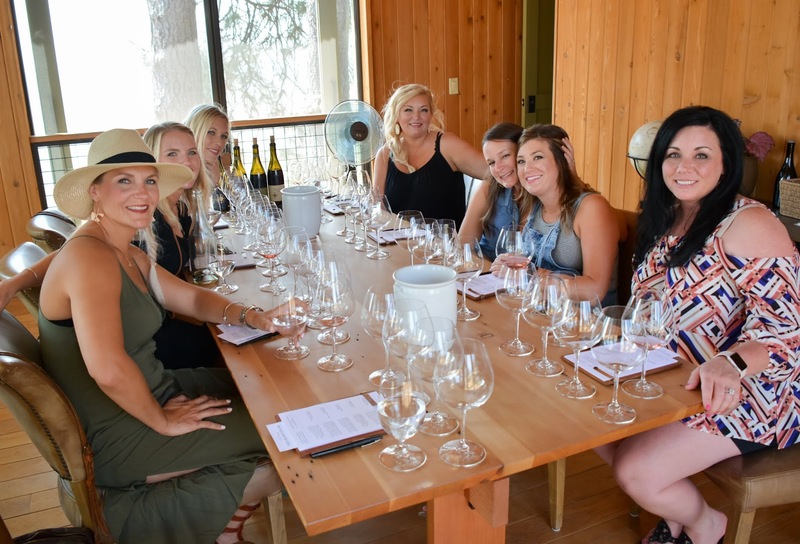 Soter is well known for their Pinot Noir, Chardonnay, Rose’, and Brut Rose’. 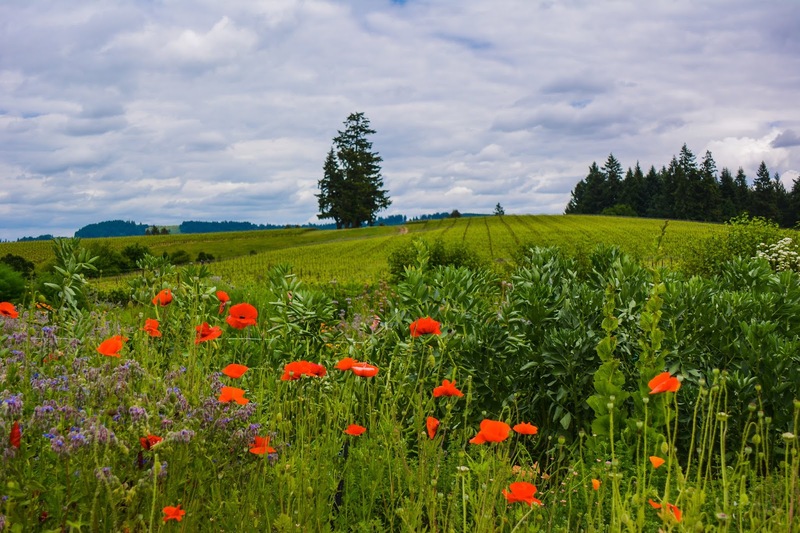 We decided to visit Willamette Valley this Memorial Day due to all of the fabulous parties that the wineries were hosting. 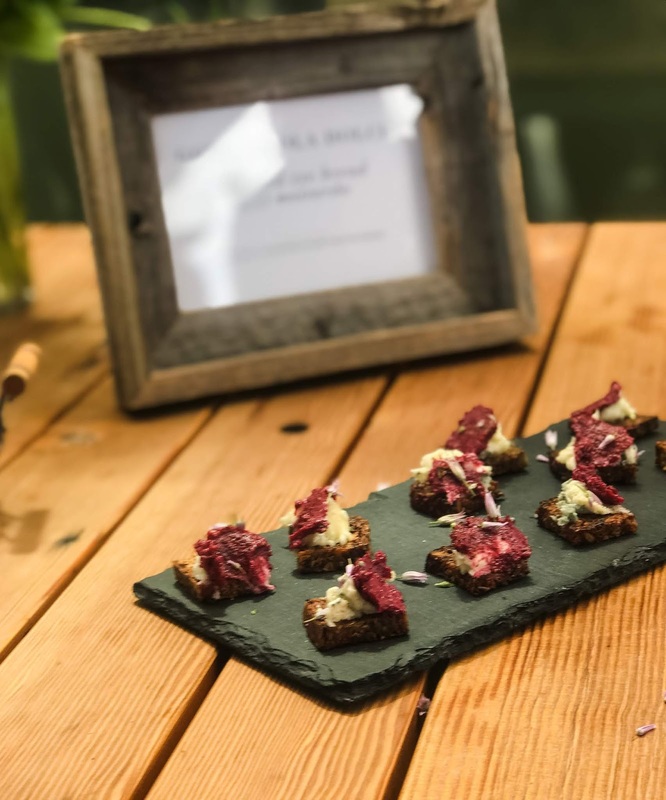 At this open house, we were able to sample some of their fabulous wines and perfectly paired hors-d’oeuvres, prepared by Chef Alex Daley, with each one. The first bite we had was Muscle Toast with Tarragon Aioli. These were superb. 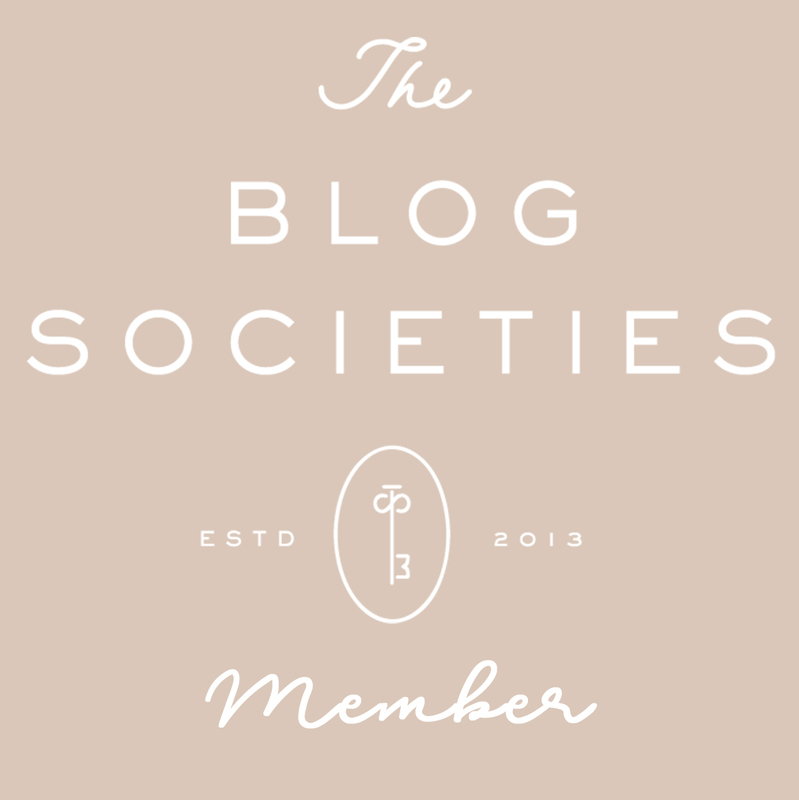 (Luckily, they shared the recipes, so I’ll be sharing with you soon.) 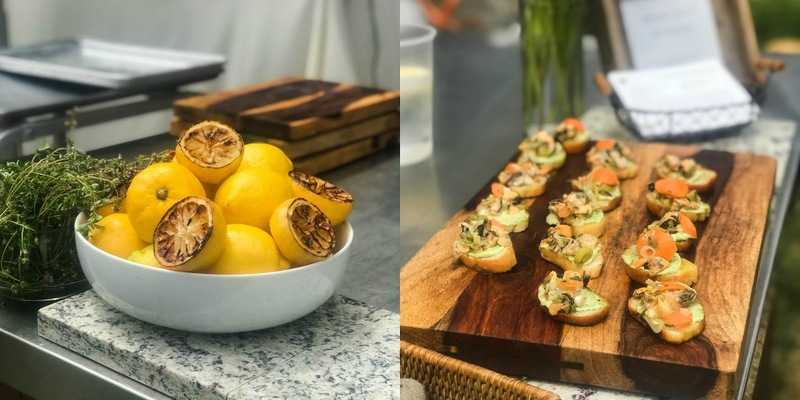 The toasts were paired with The North Valley Reserve Chardonnay which complimented the brininess of the muscles with the flavors of lemon peel and passion fruit. The next delicious bite that we enjoyed was Crispy MSR Polentas with Salsa Verde. This was paired with Mineral Springs Ranch Pinot Noir. The wine lent itself to flavors of berry and cocoa. 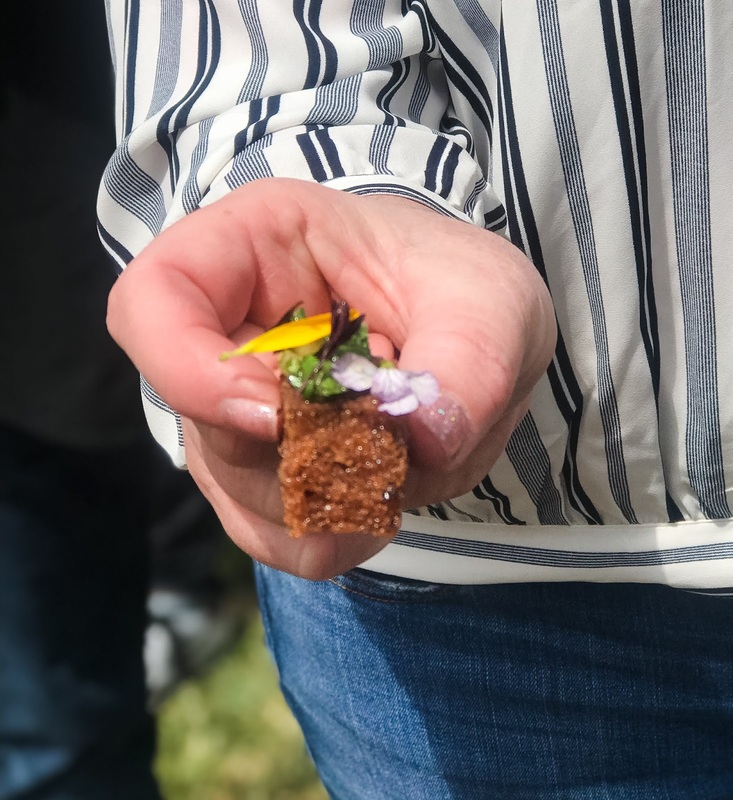 Gorgonzola Dolce on Sprouted Rye Bread with Beet Mostarda was the next hors d’oeuvre we tasted. This amazing bite was paired with The North Valley Pinot Noir. The flavors were perfect with notes of cherry, blueberry, and lavender. 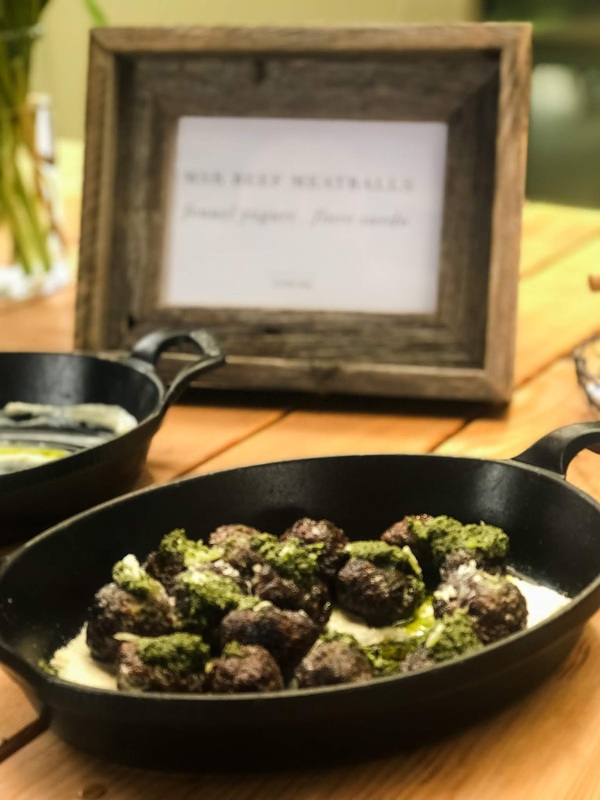 The last bites enjoyed were MSR Beef Meatballs with Fennel Yogurt and Fiore Sardo. (These were definitely revisited and I also picked up the recipe card.) They paired this delicious bite with the Mineral Springs White Label Pinot Noir. The flavors of plum, cherries, and blackberries paired perfectly with the meatballs. The inside of the tasting room is as beautiful as the grounds. This picture was taken last year during a private tasting that we enjoyed. 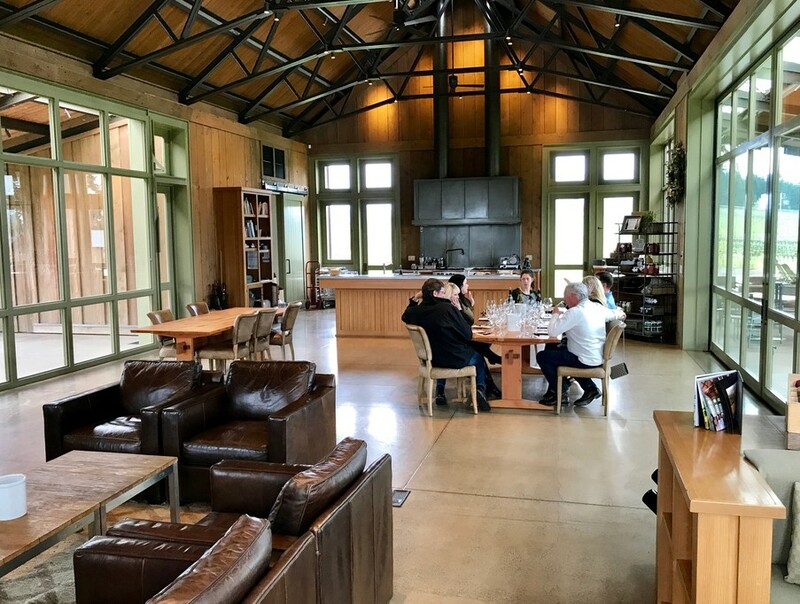 Soter also has a private cabin that we enjoyed last fall on our Girl’s Weekend with a private tasting. 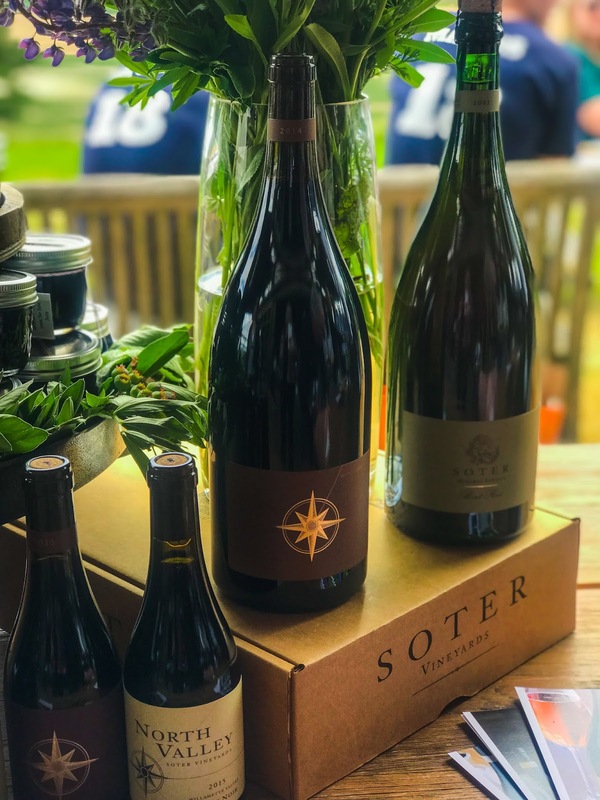 Soter Vineyards is definitely a must in the Willamette Valley, even if you are visiting at the time of one of their fantastic parties. Their tasting room is open 7 days a week by advanced reservation. The price is $30 a person, refundable with a purchase.